If you are looking to buy a GoPro, the cheapest 4K camera is a whopping $300, or $400 for the latest model. Even if that’s within your budget, do you want to carry something so valuable on your all-action adventures? That also assumes that you accept it’s good value for money. You might not think so when you learn the XtremePro Sports Cam is currently on offer for only $44.99. 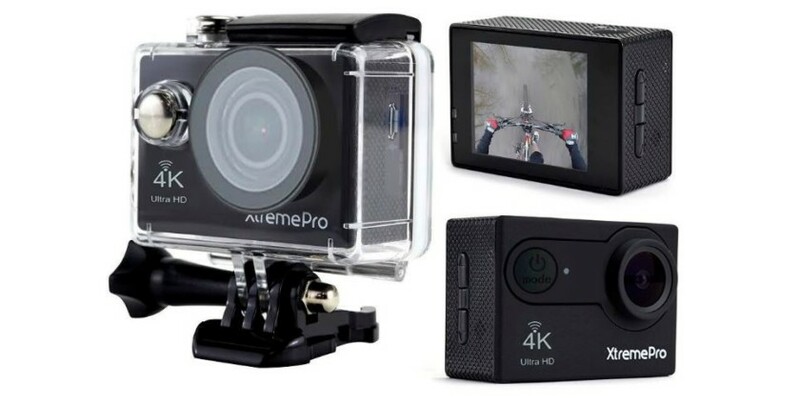 Whether you’re hurtling down a mountain, swimming with sharks, or throwing yourself off a cliff in the name of recreation, this sports camera will record it all in crystal clear 4K Ultra HD quality. The XtremePro Sports Cam comes with so many mounts that you can attach it to virtually anything. That includes your car, your bike, your helmet, or various parts of your anatomy. You can make sure all your Facebook friends are in no doubt about how much fun you’re having, using this camera. The built-in Wi-Fi ensures that you can live-stream all the action to your smartphone or device of your choosing. 4K recording ability and 12MP photo resolution give you crystal clear imaging. Built-in Wi-Fi and companion app allow for screen mirroring on your smartphone. 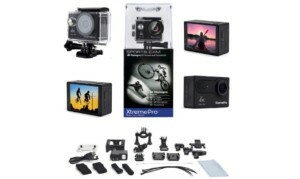 The list price for the XtremePro Sports Cam and the whole spread of accessories is usually $349.99. We’re spotlighting it today because until Saturday — or until it sells out, which is probably more likely — you can pick one up for just $44.99. Even if it doesn’t have all the bells and whistles of a GoPro, it’s a fraction of the price. Did you know that if you did a backflip on your snowboard and no one filmed it, then it didn’t happen? Hit the button below to get an XtremePro Sports Cam before it sells out.